Burgundy Stretch Twill. 90 Cotton/10 Spandex. 35% stretch width. 25% length. AMAZING recovery. Make jeggings and skinny pants in lots of fun colors! 52-54″ wide. This was my first time working with a stretch twill fabric and I was really impressed with the quality of this fabric. The color was really nice, I was really happy with the burgundy tone. The weight of the fabric was really nice as well. The stretch was really nice for pants yet the density of the twill was really easy to sew with. I’d highly recommend this fabric for any bottom weight garment. 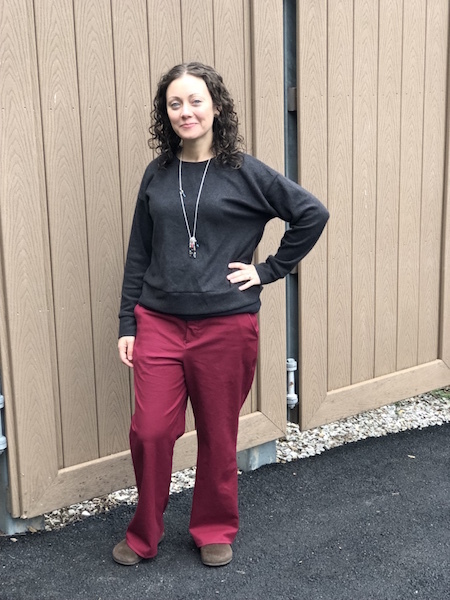 You can read the pattern review that I’ve written in the link below for sewing Simplicity 8056 with this fabric (this was my first time sewing a pair of woven slacks). 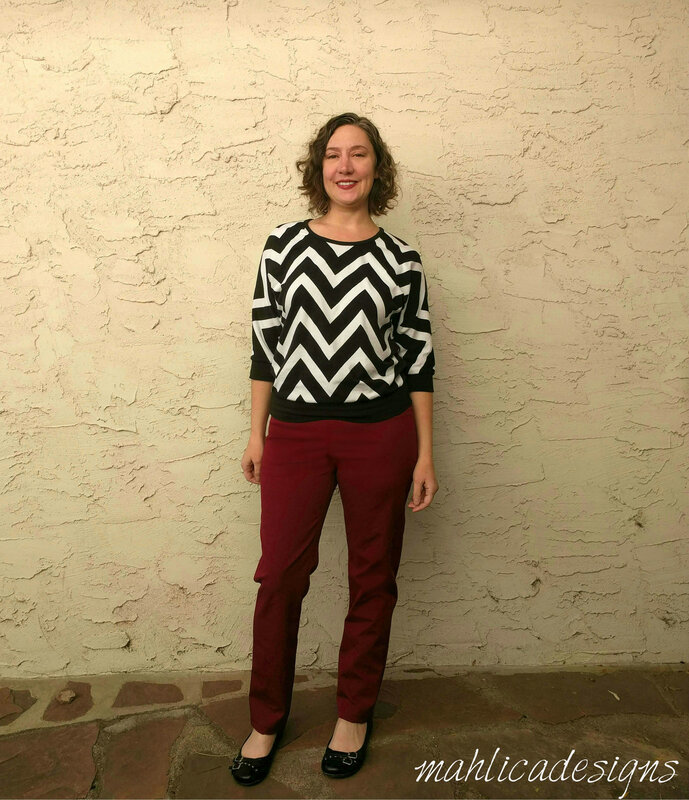 I used the burgandy stretch twill to make a pair of Alyse Slim pants. This fabric is crazy awesome. The wieght is perfect for bottoms and so much more, the stretch is great, and the recovery is terrific.